It was not quite like Christopher Columbus discovering America but still, it was the outside world sighting virtually new land when last year's G20 Summit was held in Hangzhou, a city in east China that despite its picture-postcard prettiness and cultural legacy did not enjoy the kind of international recognition that Beijing or Shanghai have. Now, another Chinese city will enjoy a similar catapulting in the global limelight as Xiamen, a coastal city in southeast China, hosts the Ninth BRICS Summit in September. The meeting will be a cynosure for several reasons, though not all of them are related to the BRICS mechanism. Xiamen is one of the first cities in China to open up to the rest of the world, and the place where Chinese President Xi Jinping served as vice mayor for three years. "Many scoffed when Jim O'Neill (then chief economist of Goldman Sachs) first coined the concept in 2001, but the idea gradually developed into a concrete cooperation mechanism," said Ni Jianjun, Deputy Director of the World Economy Institute at the China Institutes of Contemporary International Relations in Beijing. "Against the backdrop of the sluggish world economy, it is easier for BRICS countries to get a stronger growth momentum backed by the cooperation platform." Today, BRICS countries—Brazil, Russia, India, China and South Africa—are composed of 3.6 billion people, 43 percent of the world's population, and a combined GDP accounting for 23 percent of the gross world product. It is an unquestionable fact that BRICS is expanding. Last year, China's economy grew at 6.7 percent and India's at 6.8 percent, taking BRICS' average growth to 5.1 percent, higher than the average global growth of 3.1 percent, according to IMF data. In the past decade, the group's share in global GDP grew from 12 percent to 23 percent and today, its contribution to world economic growth is more than 50 percent. "BRICS will continue to be a growth engine of the world economy despite difficulties and challenges," Chinese Finance Minister Xiao Jie told reporters at the second BRICS finance ministers' and central bank governors' meeting in Shanghai in June. As China enjoys a strong, dynamic industrial base, it has become a much sought-after source of imports for other BRICS members, which inadvertently leads to considerable amounts of trade surplus with them. That is why, when continuing to provide desired products to other member nations, China is also seeking more ways to increase imports through the BRICS platform to balance its international payments. Chinese Vice Commerce Minister Wang Shouwen said earlier this year that China will increase imports of agricultural products from Brazil, medical items from India and energy products from Russia. South African wine is also welcome in China. In the first half of this year, China's imports from other BRICS countries were worth $70.16 billion, a 33-percent year-on-year increase. In the next five years, China is expected to import more than $8 trillion worth of goods. China will also launch a new annual international imports expo in 2018 to enable more foreign goods to enter. 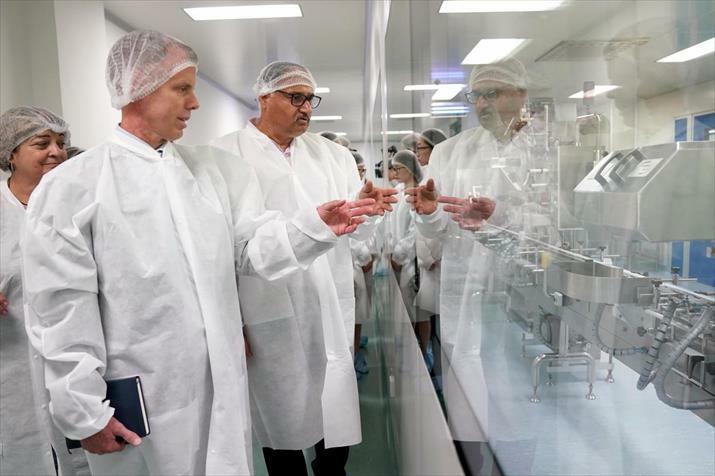 Brazil is a good example of how being part of BRICS contributes to its economic momentum. Zhou Zhiwei, a researcher on Brazilian studies at the Chinese Academy of Social Sciences, pointed out how despite economic fluctuations, Brazil's economy has been growing. In 2016, it was among the top 10 shareholders in the International Monetary Fund (IMF). Zhou said Brazil's economic performance and international status underwent remarkable upgrading in the past decade partly because it is part of BRICS. In the past 10 years, Brazil's trade growth with its BRICS peers has been much higher than with any other country. Even during the recent recession, Brazil's trade with them did not do badly at all, propping up the South American nation's foreign trade. In April, the IMF revised its 2018 GDP growth forecast for Brazil, increasing it to 1.7 percent from 1.5 percent. Besides trade and the economy, BRICS is important for enhancing its members' international status. As Wang Lei, Executive Director of the BRICS Cooperation Center at Beijing Normal University, sees it, individually, "it is somewhat difficult for each BRICS country to make its voice heard in the West-dominated discourse. Their status will grow as their common interests coincide." 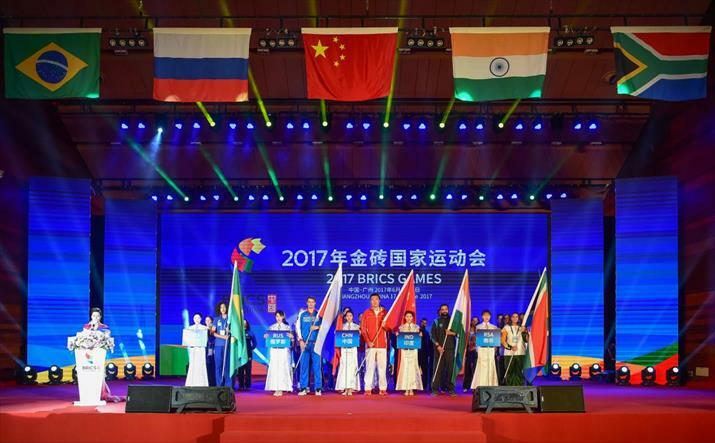 Chinese Foreign Minister Wang Yi suggests a greater global role for BRICS. "BRICS countries represent emerging economies," he said. "Over the years, their fortunes may have risen or fallen, and each faces challenges." "As President Xi put it, BRICS countries are like five fingers, each with their own strength, but when we come together, we are a fist that can punch. When we stay united, we won't lose luster but will shine more brightly," Wang added. At a seminar on BRICS in Beijing earlier this year, Georgy Zinoviev, Minister Counselor of the Russian Embassy in Beijing, said BRICS countries take concerted action on many important political and economic issues. "No country in the world can ignore our voice and our common will," he added. Ram Madhav, National General Secretary of India's ruling Bharatiya Janata Party, voiced the thoughts of many of the participants at the BRICS Political Parties, Think Tanks and Civil Society Organizations' Forum that met in southeast China's Fuzhou in June. Without a doubt, he said, BRICS countries, as representatives of developing countries, should play a larger role in global governance in the 21st century. In the nature of things, challenges will have to be dealt with as they arise. For example, bilateral relationship between China and India, the two fastest growing major economies, has been overshadowed by a new border standoff, triggered by Indian troops illegally trespassing into Chinese territory. Yet while their relations remain stormy, observers from both sides say bilateral differences will not necessarily undermine multilateral cooperation as such cooperation benefits all. Lan Jianxue, a researcher with China Institute of International Studies, said though the dispute may constrain bilateral relations to some extent, it is unlikely that the bilateral pressure will spill over to multilateral mechanisms such as BRICS. Here is another current challenge: Except for China and India, the economic growth of the other three BRICS members has slowed down. In Russia, new Western sanctions have added more hurdles to its economic recovery. Brazil is plagued by political turmoil with three successive presidents charged with corruption. South Africa, the youngest member of the bloc, still needs to strengthen its internal cohesion to concentrate on economic reform. 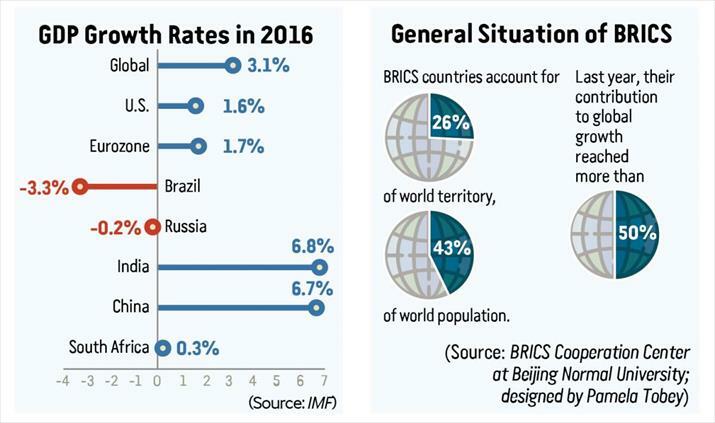 The widening growth gap among BRICS members themselves raises questions about the unity of the group—Is there still any basis for cooperation among them? Yet there is considerable discussion about how to creatively deal with this situation. Ni suggested finding new economic growth models, undertaking structural reform and seeking new growth momentum, so that commodity-dependent economies in particular can address their growth difficulties. Certainly, the determination to find new ways is there. China's fast-growing e-commerce industry can be a good growth point for promoting trade and industrial cooperation in BRICS. Chinese e-commerce platforms have been gaining popularity in other BRICS countries and more and more products from BRICS countries are being traded via online shopping platforms such as Alibaba's Tmall. 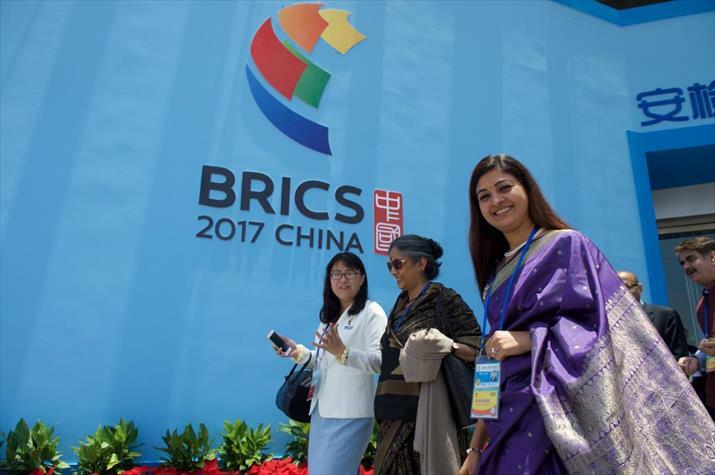 After a decade, the BRICS agenda is becoming more comprehensive, touching upon issues not only confined to the economy and trade but also related to global and regional security, global governance and climate change. "BRICS is no longer merely an economic concept. Its role as a platform for emerging economies to coordinate their stance on world political governance is growing," Wang Lei said. According to Srikanth Kondapalli, a professor of international studies at the Jawaharlal Nehru University in New Delhi, as rising economies, BRICS nations are becoming ever more influential in international relations. To effectively play this larger role, their coordination and exchanges are being significantly strengthened. At the initial foreign ministers' informal meeting in 2006, BRICS set up a framework that promoted cooperation in numerous areas. Besides the summit, there are more than 30 ministerial-level cooperation mechanisms covering trade, diplomacy, security, culture and anti-terrorism. The New Development Bank (NDB) established by the bloc is working to fund infrastructure projects and acts as a supplement to the Asian Development Bank and the World Bank. In addition, more than 20 non-governmental entities have been established to promote people-to-people exchanges. As Kondapalli stressed, BRICS is definitely not a "talk-shop." It has set concrete agendas on a number of issues such as opposing trade protectionism and voting rights in the IMF and the World Bank. In the final analysis, the different functions of BRICS are intended to add up to one major mandate—to address the power imbalance and inequality in today's world by nudging global economic governance toward a more equitable direction. For this, as Ni said, BRICS should develop its role as a platform for South-South cooperation.